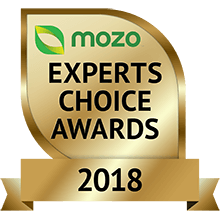 Congratulations to the winners of Mozo Experts Choice Awards for the best landlord insurance 2018. These awards recognise insurance products that provide property investors with exceptional value for money and exceptional quality cover and benefits. So if it’s time to renew the cover on your rental property, this winners list is a great place to start your search. The Exceptional Value awards recognise insurance policies that are among the best-priced for the cover they offer. For these awards, we obtained a range of quotes covering over 2,000 different landlord scenarios. The Exceptional Quality awards recognise premium insurance products that offer the very highest levels of protection and benefits. For this award we assessed quality of cover on each product, comparing a wide range of features including loss of rent, damage by tenants and flood. Mozo also assessed their track record of handling disputes with the financial ombudsman services. Budget Direct offer great prices on a flexible product that allows you to choose whether you want underinsurance protection, accidental loss and damage cover, and key tenant covers including theft or vandalism and rent default. All policies include loss of rent for up to 12 months (up to 10% of the sum insured). Sharply priced, with plenty of flexibility (wide range of excesses to choose from, optional underinsurance protection, motor fusion, accidental loss & damage, theft or vandalism by tenant, rent default by tenant) plus up to 10% of the sum insured for loss of rent. Westpac’s Quality Care provides some of the best cover in the market, and was judged to be the most affordable of the premium products available. 10% underinsurance built in, carpets and household appliances covered up to the sum insured. A wide range of excesses to help reduce annual premiums. Among the most affordable products to offer a good level of cover. Has protection for theft or vandalism by a tenant built into every policy and cover continues when the home is unoccupied for up to 90 days. For WA properties, this is very competitively priced and might be one for your shortlist. Debris removal and gates and fences are covered up to the sum insured and there's up to $10,000 allowed for both carpets and household appliances combined with a full 12 months cover for loss of rent. ANZ offers full building replacement cover so you'll never be caught out being underinsured. Not all insurers will cover damage resulting from a power surge but ANZ does. A standout is the 120 days that cover will continue if the building is unoccupied, versus the maximum of 90 days offered by all the other insurers surveyed. No extra charge for monthly premiums. Comminsure includes accidental loss and damage up to the sum insured as standard as well as 52 weeks lost rent. Budgeting is made easier by the ability to pay premiums monthly for no extra cost and there's underinsurance protection of up to 25%. Also a winner in the Value awards for being the most competitively priced of all our Quality winners. Westpac includes underinsurance protection up to 20% for the building and 10% for contents and will cover damage that results from a storm surge. There's no extra charge for paying monthly premiums. For Victorian landlords, RACV offers cover for a wide range of events including storm surge, power surge and motor fusion. This insurance will cover all costs relating to theft or vandalism by a tenant up to the sum insured and 12 months lost rent. How well the policy scored on a range of factors including the nature and extent of the insurance cover, and the inclusion of added benefits - in other words, what’s covered and up to what limit? For Exceptional Value Awards, we considered a total of 2,000 insurance customer scenarios, and determined the percentage of those scenarios where a given policy would feature among the 4 cheapest quotes. Did you compare all insurance policies in the market for these awards? We won't have covered every insurance product out there, but we try to include all the major brands - and not just those we have a commercial relationship with. In this year’s awards we assessed 34 different products. How do I find the cheapest landlord insurance policy for me? You’ll want to check out the winners in the Exceptional Value category. Our experts crunched the data on a range of customer scenarios and these were the insurers and policies that came out the cheapest when compared to similar policies. It’s important to understand that many factors go into determining the cost of insurance such as location, building type and security features, so you’ll still need to do some comparing of features and options to find a policy that is right for you and then get quotes so that you can compare the price. For landlord insurance, we considered a total of 20 features with the essential ones being: loss of rent, rent default, theft or vandalism by tenant. If you’d like to see the full list, read the methodology report.